Here are a few of my favorite places that offer opportunities to test and review products. Some require you to complete blog reviews, some don’t. If you like sharing your opinions and want to build a library of blog review posts, here are a few places I recommend trying if you’re looking for blogging review opportunities. Tomoson has long provided consistent updates of new items available for review. Linking your social media accounts is crucial for selection purposes. 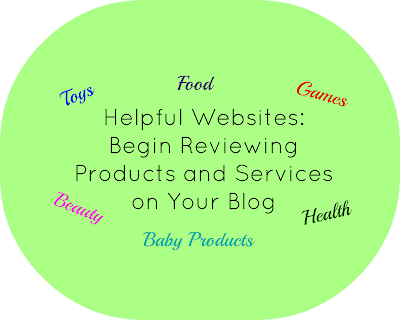 There are many opportunities for reviews of products that you can get for free or even charge for the review. Since the roll-out of the opportunities that allow you to bid on a fee to test and post, I’ve noticed fewer opportunities in which I’m accepted, and will even venture to say that it’s taking much longer to be notified of approvals or denials. 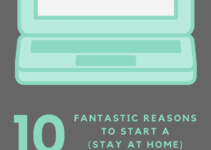 Each opportunity requires different types of posts, and your blog is frequently required. Influenster – having a blog isn’t a requirement, however it is useful as a few opportunities to complete missions (or earn points) would be missed without a blog post. You can connect all your social media & blog accounts to tally up a “social impact” score. The higher the impact, the better your chances of scoring a “VoxBox”. Bonus: when you receive a VoxBox, completing tasks for badges and being a top badge holder for a particular product enters you for a chance to win more prizes from that brand. I like the model of being able to test free products and winning more free products. US Family Guide – Blog necessary. I’m on the fence on how I feel about this program, though I have done a couple promotions for them. Many of the blogging opportunities are location based because they want to promote businesses in the area, although there have been a few national promotions for product reviews. Here’s my hang up: I had applied for a local business promotion, but part of the requirements were that you FIRST post about the business and THEN get tickets/package from the business to come in a share your review of the place. I prepared and published a blog post and then was never contacted by the business to receive the tickets. I don’t make a habit of promoting a business without some opportunity for financial, product, or service compensation. Why? Because bloggers don’t work for free. It’s work that takes me away from other things I should/could be doing for the family. 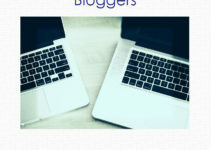 Bzzagent.com – While writing a blog isn’t a necessity to join this program, sometimes you get more points on a mission when you complete a blog post. You are scored based on your social media posts and answering surveys (which help to qualify you for more appropriate campaigns). Answering surveys and completing tasks for campaigns also gives you points to put towards your Mypoints.com account. Those points accumulate in your Mypoints account towards cool rewards you select. Smiley360 – This site was good when I was first starting out, but I found little value in the sample sized products they wanted us to do reviews for. I had once received a 2 pack of multivitamins and had to do a lot of social media posts to earn points for it (and as far as I can tell, points don’t accumulate for any other reason that to score you for their knowledge). In my opinion, it wasn’t worth the work once regular review opportunities were rolling in. They’ve recently updated their website and I haven’t yet found (or qualified for) a campaign to give them another try. Do you have other websites that offer blogging review opportunities?